Pink has never really been my colour, at all. My outfit colour palette usually consists of black, white, grey, navy, khaki, burgundy and then maybe a little bit of camel or mustard to change it up a bit. However, recently I cannot stop myself gravitating towards all things pink. 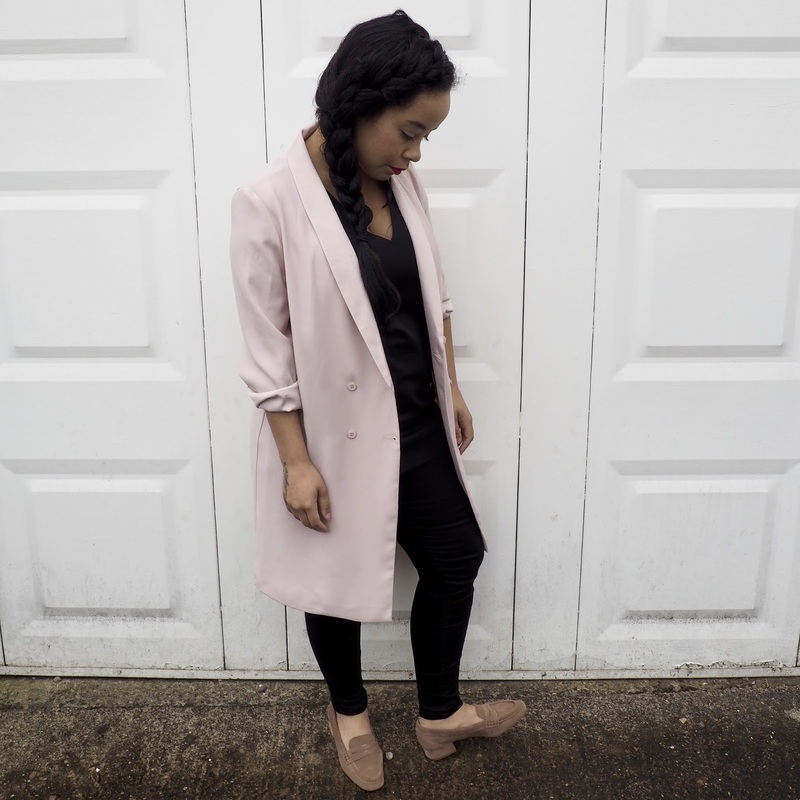 My wardrobe is now peppered with a variety of blush pink items, from shoes to bags, to tops to skirts and now this delightful satin tuxedo style jacket. I saw it online and simply had to have it. 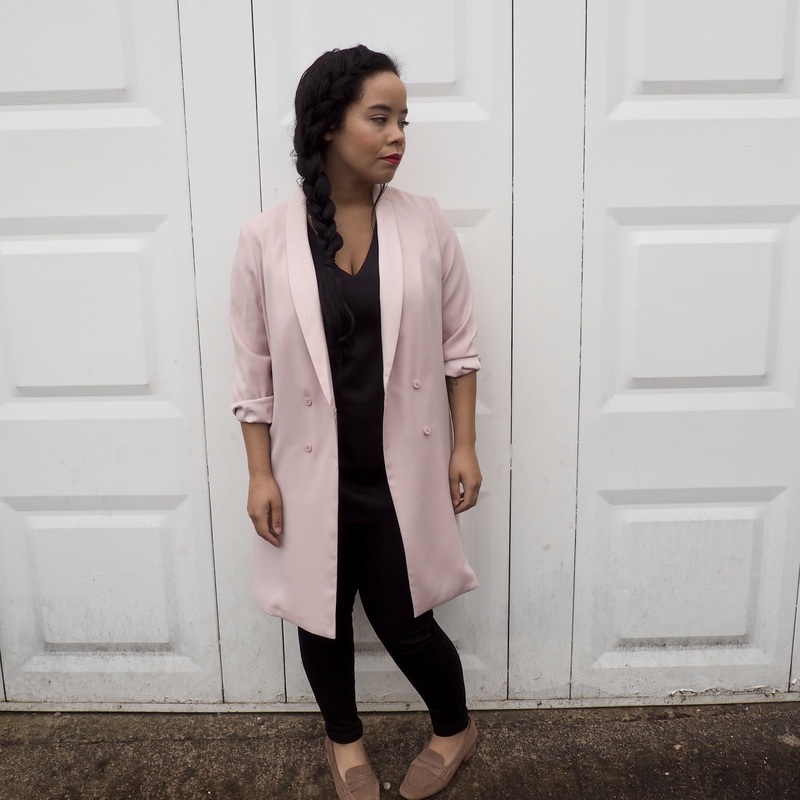 It's a lovely lightweight longline jacket, which can also be worn as a dress or how i've styled it as a light summer jacket. I can't wait to wear it for after work drinks or it would be perfect for a wedding. Unfortunately this jacket has now sold out online, but you can still get it in orange and sky blue. Beautiful look dear! 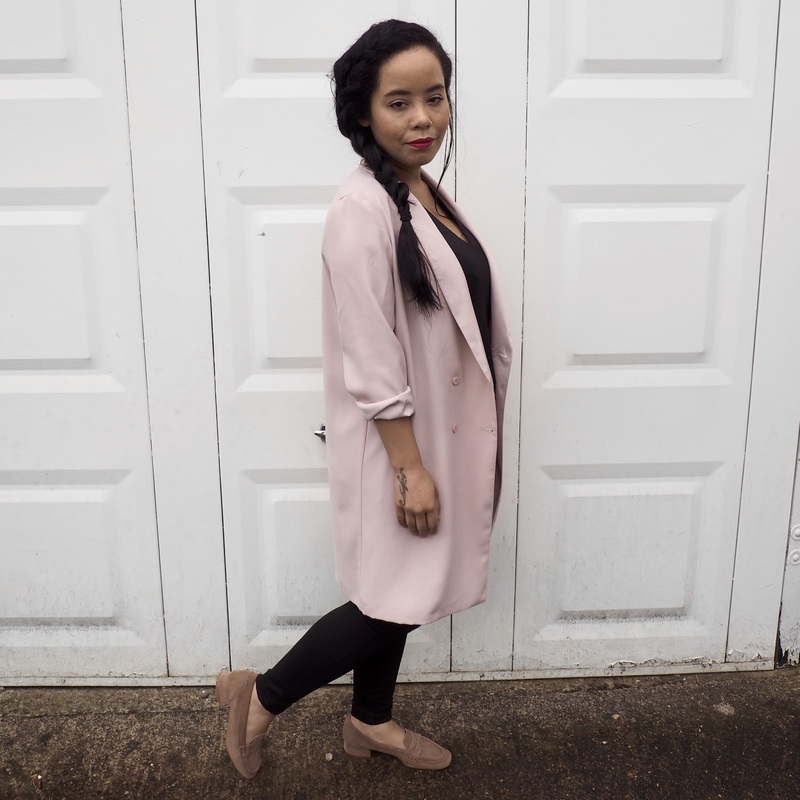 The longline coat is so great! Need it! That blush color is so pretty on you! I love that coat! Love, love this jacket. Pink is one of my favorite colors and this color looks great on you. This is such an effortlessly cool look. Pink is definitely your color here! Really looks so pretty! Love the jacket! You look so pretty in pink! Thank you for sharing, have a nice day! love that pale pink coat!! You look so cute in pink. i think I need more pink in my life. 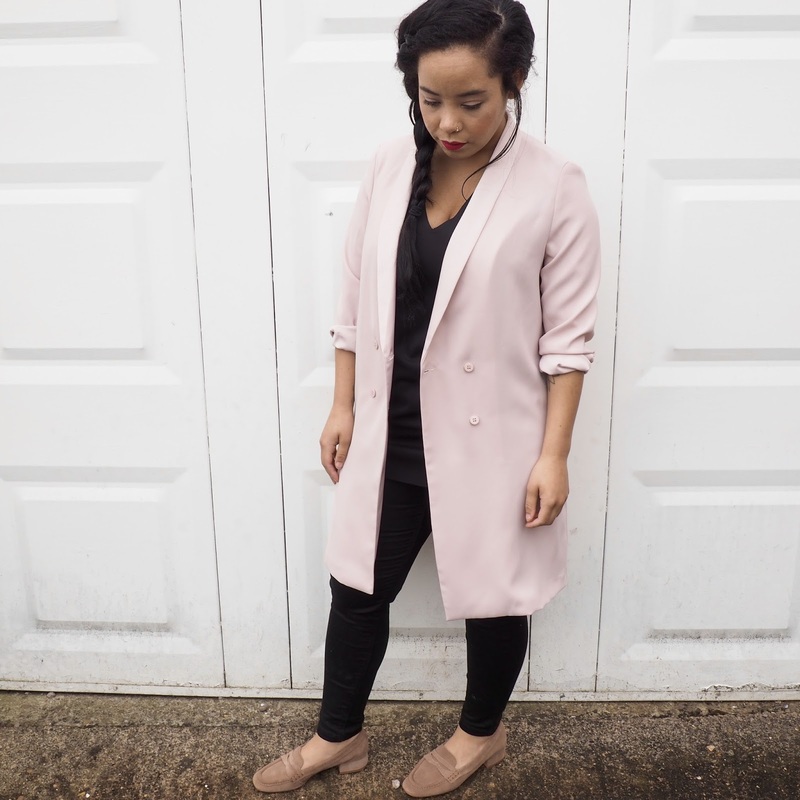 Loving the blush blazer, lady! Love the blush jacket, and those loafers, too! love this blush jacket, very pretty look! Stylish and elegant! That blazer is more than amazing! I love the color and the line! Looks great on you! Love the blazer; looks superb on you! my favorite color is pink. yep any shade of pink I love. so this jacket is something I want. too bad its sold out. but it looks great on you. Love the pink blazer looking jacket, it changes up the look! I'm not much of a pink girl either but you look great! I might have to try it in sky blue! I love it! Note to self: must buy more pink items. 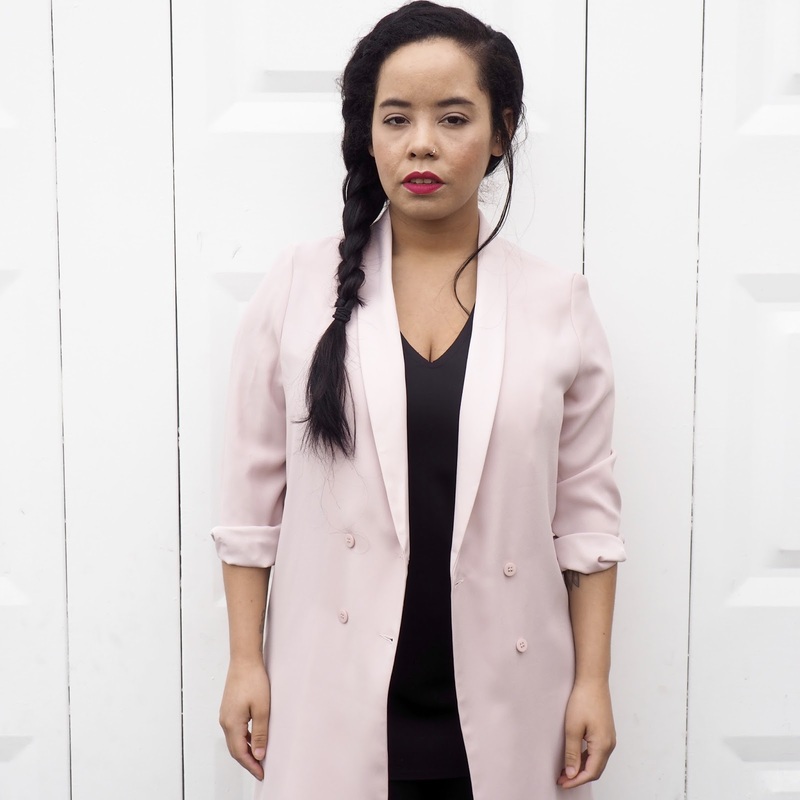 It's a shame the blazer dress has sold out in pink because I love it! The colour really suits you too. 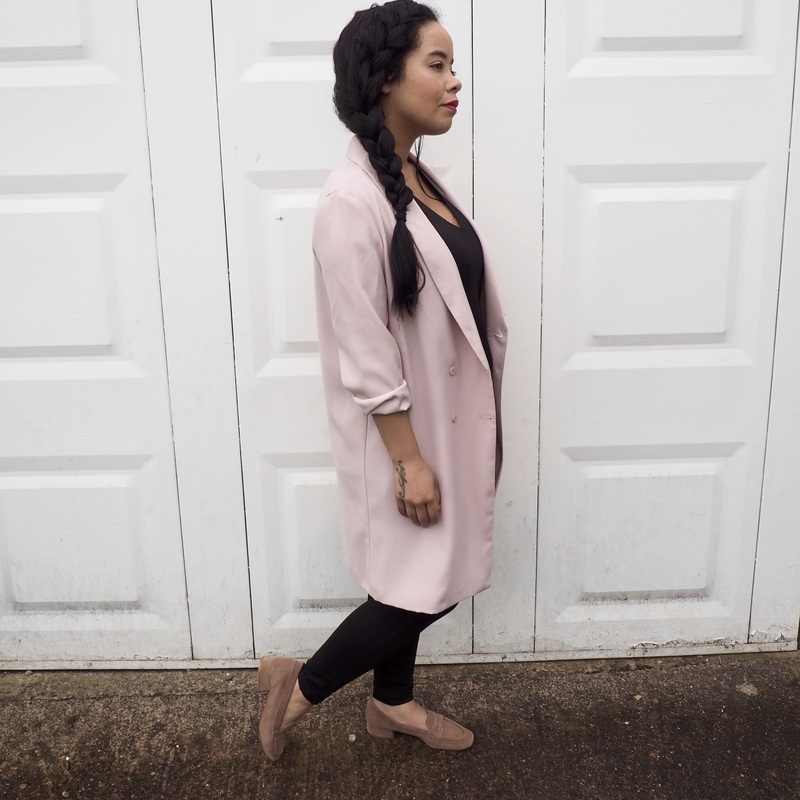 I love the touch of this dusty pink coat to your outfit, it totally breaks up the black and makes it look very chic! love the light pink jacket and this hair is great! Black and pink look so good together!! Love the look! Pink looks amazing on you and that satin jacket is gorgeous! 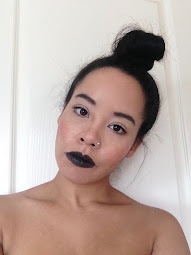 We love how you paired it with black pieces, great look!